We are proud to introduce our new Silver Glitter Cluster Skull on Black. 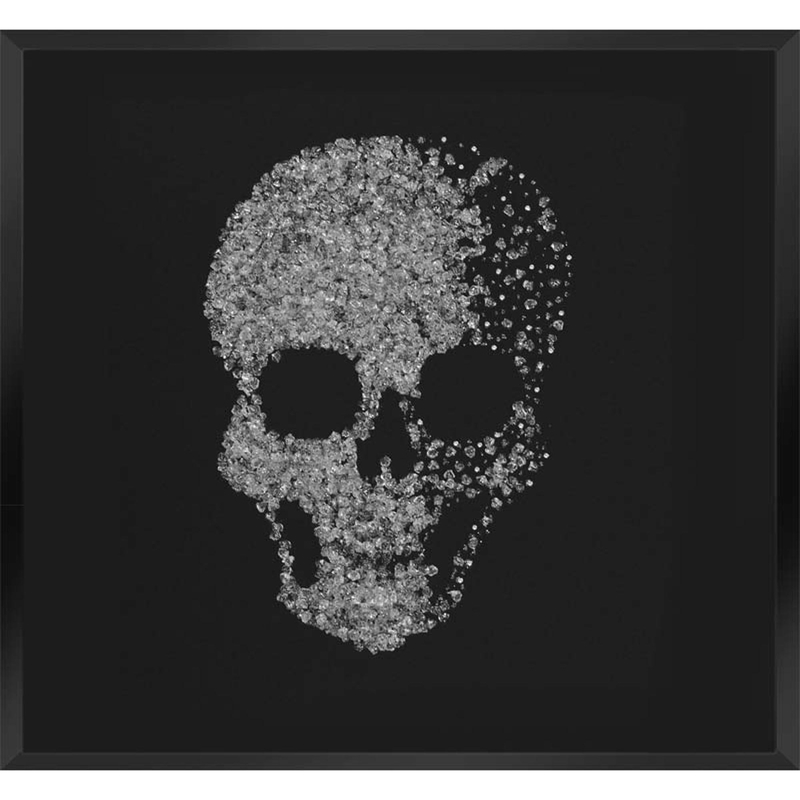 The perfect balance between edgy and chic; featuring a skull on a black background but made from cluster crystals in the skull design, encased in glitter liquid glass. This piece was hand finished in the UK and comes in both set and custom sizes, so if our sizes dont work for you, you can choose your own.